Did you guys notice that nowadays you will find so many varieties of fancy Paper Clips in the market? Using regular plain ones is so boring! 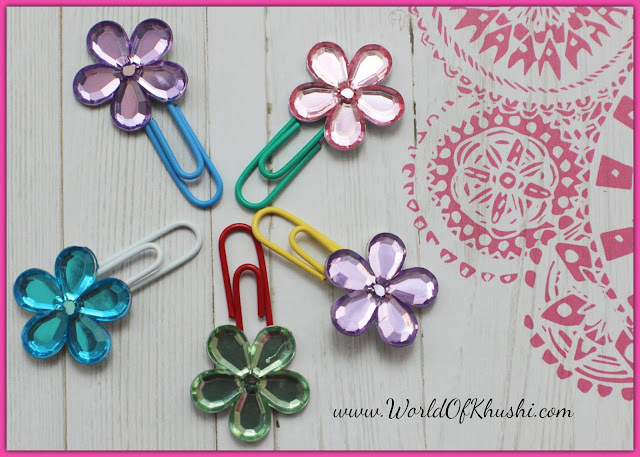 In today's post, we are going to making very pretty Paper Clips by using Gemstone. I named this DIY Flower Gemstone Paper Clips! This DIY only takes 5 minutes to make, very easy but not messy. Let's see how to make this DIY!! Step 1. Stick some Glue on the back of the Gemstone. Step 2. Carefully stick one side of the Paper Clip with the Gemstone. Step 3. Repeat the same process with rest of the Paper-clips. Your pretty Flower Gemstone Paper Clips are ready! Tip:- Try to use different colors of Paper Clips with different colors of Gemstone. Example Red to Green, Blue to Yellow! Note:- Under 7 years old Kids please take help of your Parents while using Hot Glue Gun. This DIY is very easy and will turn your boring Paper Clips into fancy ones. 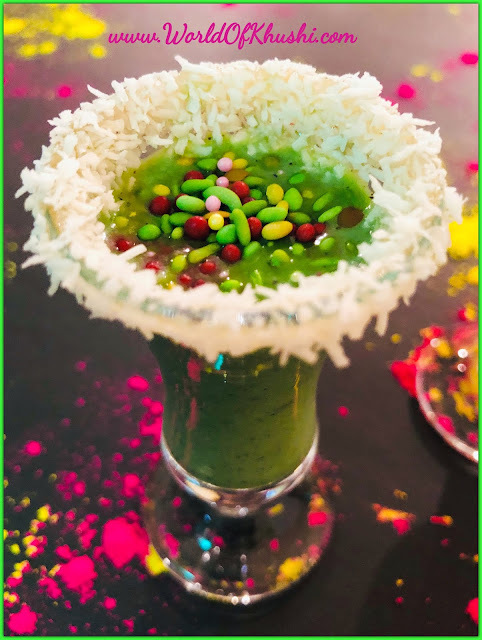 Do try and don't forget to share your recreations with us.